We all know tax season can be a bear. A slog. The monkey on your back. It’s really, really not fun at all you guys, is basically what we’re saying. However – there is light at the end of the tunnel for some of us. Because once we check off that last box and sign our names (digitally or otherwise) we get to decide: what do we do with all that sweet, sweet refund cash? If you think we’re about to suggest you spend it on some new glasses … you’re totally right. But think about it. We’ll be the first to tell you that glasses aren’t cheap. They’re an investment, especially the really killer designer frames we all want. However, they’re also often the first thing a person notices about you, so the right glasses go a long way toward making a great first impression. Or, maybe you’ve got a great summer vacation coming up, and you’d love a new pair or Raybans or Oakleys before you hit the beach or the hiking trail, but they’re not in your month-to-month budget. Your tax refund could offer you the perfect opportunity to protect your eyes from UV rays while also looking so amazing in your new specs that your friends are green with envy, viewing all your vacation snaps on your Insta feed. 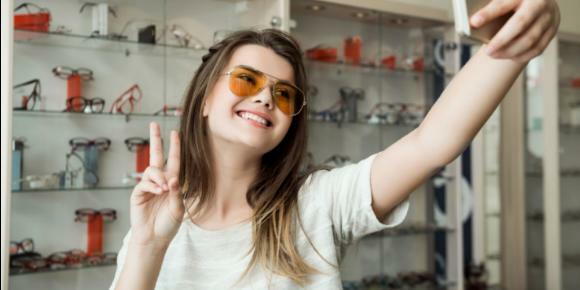 Glasses or sunglasses are the perfect way to make it feel like a splurge while also knowing deep down that you’re really buying something totally practical and useful! Come check out our large selection of designer frames, and we’ll help you invest your refund in a new look.